To see the letters of request to John Pearson dated September 2 and September 17, click here and here. To see the letters written to Senior Policy Advisor Jeff Howard and Madeline Hamelin, Personal Assistant to the Minister, click here and here. 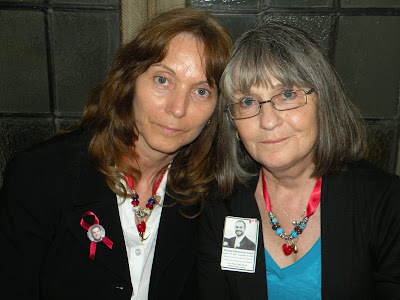 (Bathurst, NB - September 22, 2010) - Two mothers whose lobbying efforts led to a safety review of 15-passenger vans by Transport Canada say they are being stonewalled in their request for observer status at an upcoming meeting of Transport ministers in Halifax. "As mothers whose children were killed in 15-passenger vans, we are supportive of the safety review and were looking forward to attending the session on September 30 where the preliminary results will be tabled," says Isabelle Hains. 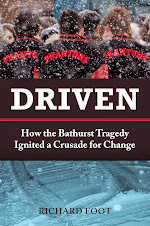 Hains of Bathurst, New Brunswick, lost her son Daniel in a tragic 15-passenger van collision which claimed the lives of seven Bathurst High School basketball players in January 2008. Stella Gurr's son Michael, a musician, was killed in a 15 passenger van rollover while on a cross-Canada tour near Brandon, Manitoba in September 2008. The two mothers were in Ottawa in May when Member of Parliament, Yvon Godin (Acadie-Bathurst) introduced Bill C-522, a Private Members Bill which called for the prohibition of 15 passenger vans for student transportation. They also met with former Federal Transport Minister, John Baird's, Chief of Staff and Senior Policy Advisor at the Minister's office in Ottawa at which time they were promised a commitment to the 15-passenger van issue. Less than a month later, on June 25, the Minister announced Transport Canada would undertake a safety review of 15-passenger vans, a move the mothers applaud. The mothers have assembled a comprehensive Information Kit on 15-passenger vans and Multi-Function Activity Vehicles that they intend to hand deliver to the Ministers and Deputy Ministers at the Halifax meeting. They have already booked their hotel rooms and scheduled a press conference for 1 pm, on Thursday, September 29. Hains says that over the summer they made dozens of phone calls and wrote numerous letters to politicians and senior bureaucrats across Canada who have a say in the Council of Ministers meeting, but so far they have been met with a "wall of silence". She says the COMT should be welcoming their attendance at the annual meeting, instead of shutting out the biggest supporters of Transport Canada's 15-passenger van safety review. "As you may know, we mothers from Bathurst, New Brunswick have been instrumental in raising the profile of the 15 passenger van issue nationally and internationally since the deaths of our sons in the Boys in Red tragedy. 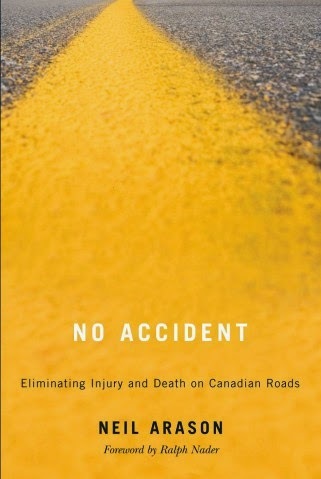 Other parents and concerned citizens have also joined us in our quest to improve student transportation safety, including Stella Gurr, a mother from Nanaimo, British Columbia, who lost her son Michael Gurr in a 15 passenger van roll over in September, 2008. With the announcement by the former Minister following so closely on the heels of the introduction of Private Members Bill C-522 by our Member of Parliament, Yvon Godin (Acadie-Bathurst) to ban 15 passenger vans for student use across Canada, we feel it is appropriate that we be allowed to attend the session which will deal with 15 passenger van safety, since it is the death of our sons that led to this safety review." To date, no-one at Transport Canada, including Mr. Pearson, has responded to the mothers' requests or phone calls. Go to http://www.VanAngels.ca to read the full letter to Mr. Pearson, as well as the letter to Jeff Howard, Senior Policy Advisor and Madeleine Hamelin, Personal Assistant to the Minister of Transport, Chuck Strahl.